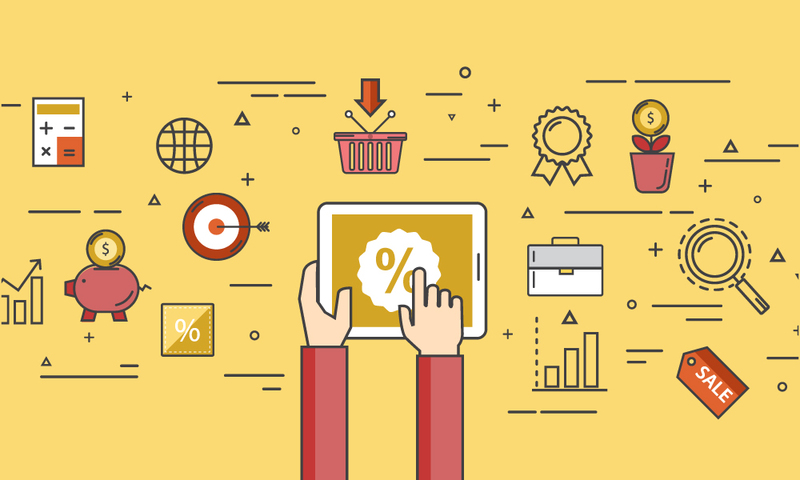 For manufacturers and distributors across industries, promotional pricing can be necessary to keeping key accounts. The fiercely competitive power tool industry is one such example—a selling landscape historically optimized around special pricing and promotion-based selling. Milwaukee Tool, manufacturer of heavy-duty power tools, accessories and hand tools, maintains their industry-leading position in the space with product innovation, expert salesmanship, and a deep understanding of this promotion-based sales strategy. With a sales team servicing accounts at trade shows and retail store visits across the United States, Milwaukee Tool was experiencing rapid growth that was causing them to outgrow their manual, promotion-heavy sales process. 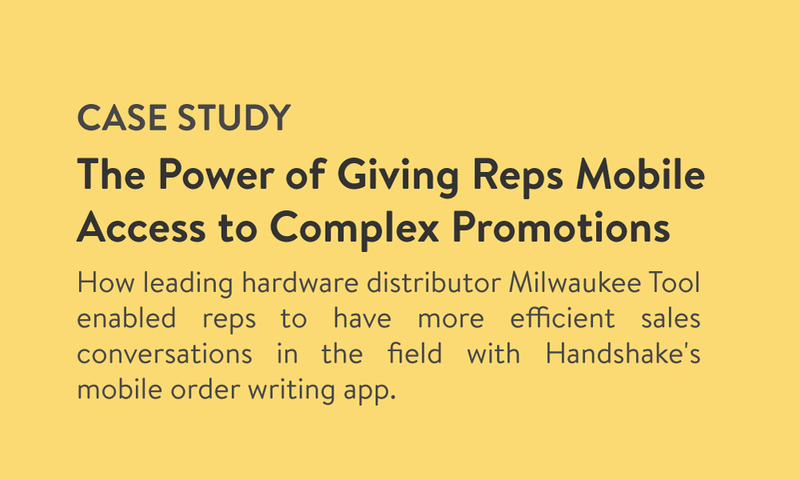 This case study is an account of how Milwaukee Tool used Handshake to automate and scale their field sales operations without having to sacrifice their complex promotional structures. How Milwaukee Tool has used Handshake to reduce their sales process from 5 to 2 steps, and the operational benefits that have resulted from this approach. Their requirements for a sales rep selling solution: a mobile tool that could accommodate complex promotions and flexible search capabilities. The types of promos that Milwaukee Tool can represent in Handshake: customer-specific volume discounts, buy-this-get-that promos, and more.